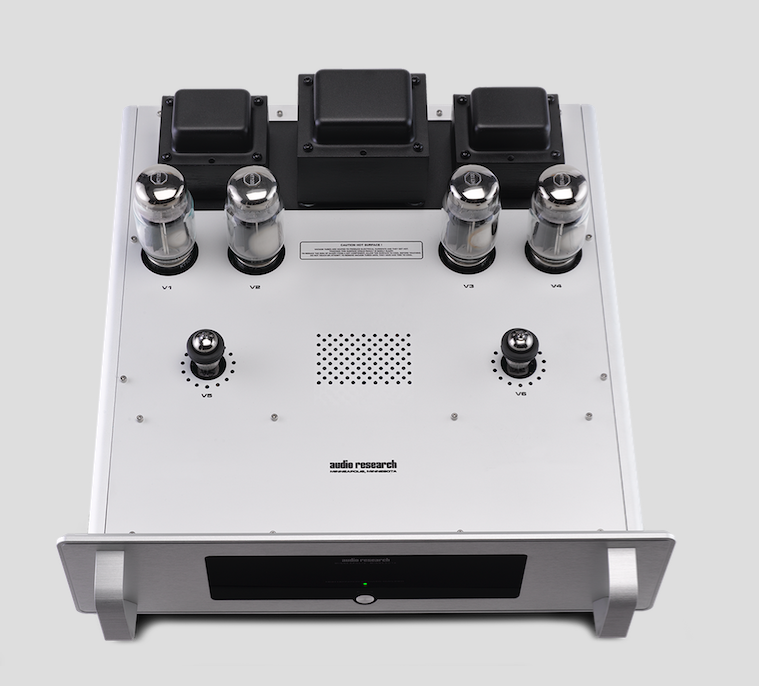 Audio Research is pleased to introduce the VT80 vacuum-tube power amplifier to its Foundation Series. From the same design and engineering team responsible for the award-winning Reference Series, the Foundation family of vacuum tube components has been created to provide an incredible musical experience. The new VT80 allows the Foundation Series to be shown as a complete system. Combining an enticing new esthetic with worry-free operation and great performance, the VT80 is a vacuum-tube amplifier that will make Audio Research accessible to a larger group of music lovers. The U.S. retail price is $8,000.00. With a beautiful new look, flexible connection options, and important new features, the primary goal of the VT80 is to provide thrilling audio performance. The core of the VT80 is adapted from the Reference 75, including the same power and output transformers, a similar circuit topology, and many of the same parts. The result is sonically breathtaking and provides a new sonic reference in its price range. The 75 watt-per-channel VT80 offers startling dynamics, powerful bass, and natural clarity combined with a very holographic presentation. The open architecture of its extruded metal chassis provides beauty and a rigid structure from which two 6H30 driver tubes and four KT120 output tubes emerge. Available in both natural and black anodized finishes, the low profile front panel contains a black inlay that matches other Foundation Series products, along with a power switch, flanked by two handles. The rear panel contains both single-ended RCA and balanced XLR input connectors allowing the VT80 to be integrated into virtually any system. In addition to a tube hour meter, there is a 12V trigger and an RS232 port to remotely control operation. 4- and 8-ohm brass and gold binding posts provide secure speaker connections. There is also a switch to engage or defeat an auto-off function, triggered when no input signal is encountered after four hours. At the heart of the VT80 are two important features never offered previously by Audio Research. The first is a proprietary auto-bias circuit developed entirely in-house by Audio Research’s chief analog engineer. Once the tubes are installed and the unit is powered-up, the VT80 will automatically adjust bias for each output tube. The circuit adjusts for tube wear or fluctuations in the power in real time and does not compromise performance. The VT80 will also work with different types of output tubes, including 6550, KT88, KT90, KT120 or KT150. The second new feature includes individual fusing of each output tube. In case of a fault condition, an easily-replaceable fuse blows, providing worry-free operation. The VT80 will begin to ship in November 2016. Introduced earlier this year, the first three Foundation components include the LS28 line stage preamplifier, the PH9 phono stage, and the DAC9 digital-to-analog converter. All three have the same U.S. retail price of $7,500.00. Audio Research is one of the oldest continually operating manufacturers in American audio. The company was founded in 1970 in Minneapolis, Minnesota with one goal in mind: to advance the state-of-the-art in music reproduction. Today, Audio Research remains a performance-oriented company by philosophy and design. New product introductions are driven only by genuine advances in technology and performance — the HIGH DEFINITION that is the hallmark of the company’s products. The company has grown steadily over the last 40 years, with a network of top audio specialist retailers across North America and distributors throughout Europe, Asia and South America. The company occupies a 48,000 square-foot, technically-advanced production plant and administrative headquarters in Plymouth, Minnesota, where approximately 50 technical, assembly and support staff guide the product line from concept to finished goods. Audio Research was instrumental in refocusing the audio industry on designing products for musical performance, and not merely for the sake of new technology or mass-market pricing. Audio Research was founded by William Z. Johnson, who began designing custom audio electronics in the early 1950’s and who also operated a specialty audio retail store until the mid-1960’s. Johnson’s efforts almost single-handedly revived vacuum-tube designs at a time when major industry manufacturers had abandoned this technology in favor of low-cost solid-state devices which were markedly inferior in terms of musical accuracy, a fact widely acknowledged today. Many industry observers consider Johnson one of the true originators of the entire concept of “high-end” audio as it exists today — an area of technological expertise in which American companies remain the clear innovators and leaders on a global scale.